INVERCARGILL THE GATEWAY TO STEWART ISLAND, FIORDLAND and THE CENTRAL LAKES DISTRICT. Visit local attractions - Invercargill Brewery, E Hayes and Sons where you will find the worlds fastest Indian Motorbike, Otepuni gardens, Otakaro Park, Stead Street Warf to name a few and the Queens Park Golf Course is only a stones throw from Villa Lane along with Stadium Southland and Velodrome. We take pride in providing an appealing, welcoming home so that your stay is a comfortable, memorable one. The kitchen has stainless steel appliances, stone dine and electric fry pans many utensils, pod coffee machine and complementary continental breakfast supplies. The sparkling bathroom has a plentiful supply of fluffy towels, hairdryer, straightening iron, toiletries and first aid supplies. Snuggle up in the comfortable Queen bed with crisp linen, cosy bedding and pillows enjoying the 28in smart TV while you unwind after a busy day. There is also a smart TV in the lounge enabling USB connection for slide shows and presentations. Although a car is not necessary there is parking right at the door and plenty of extra parking for guests. We are happy to assist with arranging transport if required. CORPORATE RATES AVAILABLE ALONG WITH TAX INVOICE - PRICE ON REQUEST - Subject to business verification and availability. The location was perfect. We could easily get to Queens park and take a walk every day. Villa Lane was a beautiful cottage in close proximity to all amenities in Invercargill. 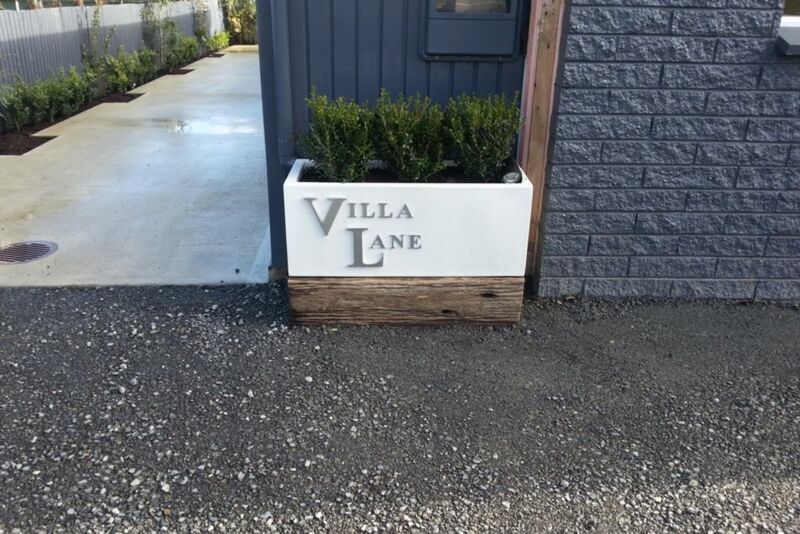 Villa Lane was a beautiful cottage in close proximity to all amenities in Invercargill. We were blown away by all the little extras. Everything was thought of and it is somewhere we would visit again. Thank you. Faultless, Flawless, Spotless and incredibly central. Faultless, Flawless, Spotless and incredibly central. Exceeded all expectations. Will not consider staying anywhere else, if in Invercargill again. We stayed here 3 years ago and had such a fabulous experience we decided to use again. We stayed here 3 years ago and had such a fabulous experience we decided to use again. First class accommodation which flawless decoration and lots of additional "goodies" to make us feel at home. Great location and a fabulous host. If we are lucky enough to get back to Invercargill we will be staying again. Wonderful! This little villa was a delight, a home away from home. Wonderful! This little villa was a delight, a home away from home. Very cozy and quiet. Great amenities and awesome courtesy supplies. If we find ourselves in Invercargill again we will most definitely being booking this again. Thanks heaps.